Turconi was a bike mechanic and a famous bike manufacturer from Mozzate (Como, Italy). 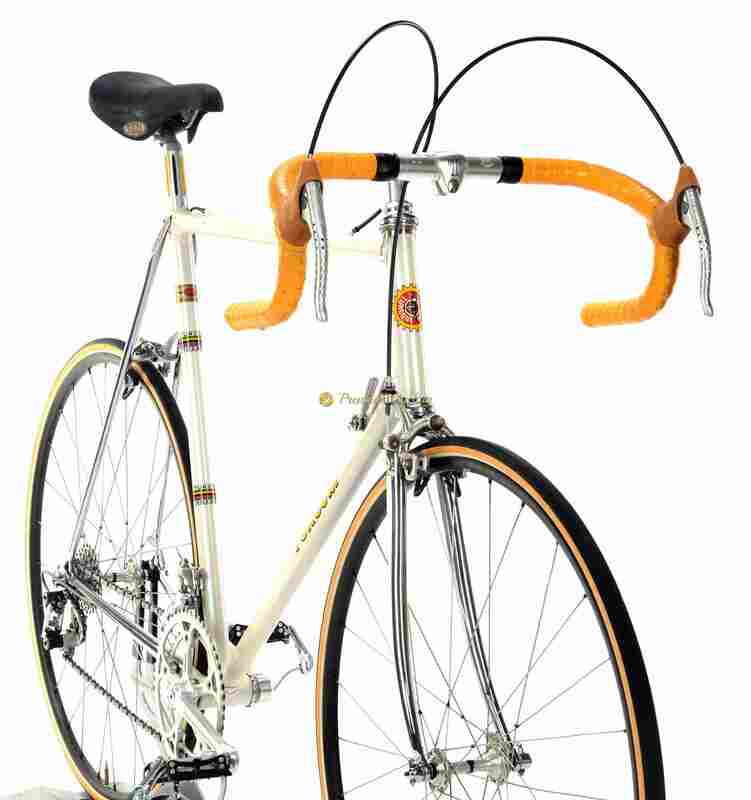 During period of late 1970s and 1980s most of TURCONI’s top level framesets were made by very respected framebuilder Giovanni Losa from Vittuone (Milan, Italy), not far from Turconi. Giovanni Losa, well known as ”Vanni” was the secret frame builder of many famous others brands including Cinelli and very respected back in late 1970s. Framesets made by Vanni Losa are always something special, drawing attention and are famous for their stiffness and elegance. Proudly presenting this superb Italian steel racing machine – TURCONI Aero by famous Giovanni Losa. The frame made of Columbus SL steel, which was top of the line back in the days, with legendary Turconi and ”V” for Vanni engravinings. 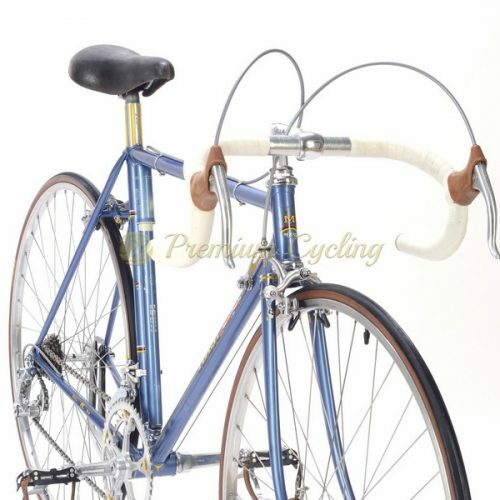 Beautiful combination of curved seat tube, aerodynamic forks, internal shifting cable routings (which were ahead of the time back in mid 1980s) makes you understand why Losa is very appreciated frame builder. It’s fully equiped with Campagnolo Super Record groupset, Turconi pantograph CINELLI cockpit, NiSi Laser rims and Laser saddle. Completely original condition. Great catch for any vintage bike collector. L’Eroica ready. Condition: Used, but good condition. The frame has no cracks, no dents, not bent. Original paint and decals. Some tinny signs of normal use. All parts are working fine.